Preheat oven 350 degrees. Make sure shrimp is thawed out, if you bought them frozen. Lay sliced lemons down in 13×9 casserole dish. Peel shrimp, if desierd. 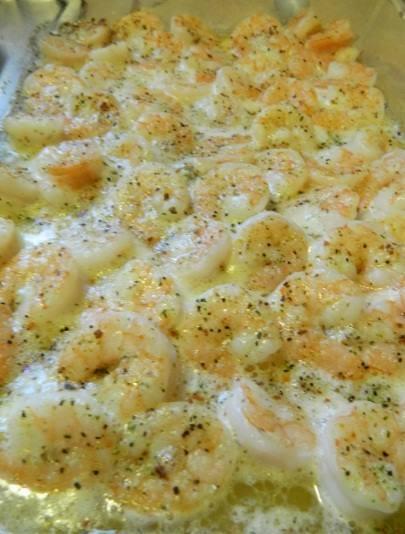 Place uncooked shrimp on top, spreading evenly. Pour butter over top of shrimp. Sprinkle Italian seasoning all over shrimp. Bake uncovered 15 minutes. You could even broil for a few minutes to sort of caramelize the Italian dressing on top. No more than 2 minutes.